3 room apartment-kitchen- bathroom, separate-closable terrace, free parking space. Double bed (1,80x2,00), two single beds, wardrobes, beds are made, blankets available. Hand-shower towels, hair dryer. Fridge-freezer, dishwasher, oven, ceramic hob, Senseo coffee pad machine, toaster, kettle, dishes, etc. Sofa bed (160x200), LCD TV, free Wi-Fi, garden furniture, parasol, loungers. 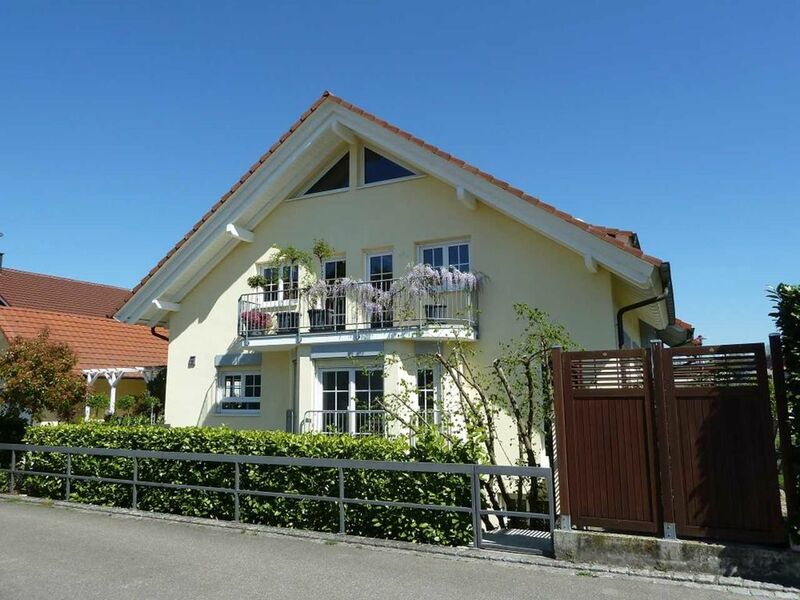 Dear guests Welcome to the newly furnished 3-room apartment Baumann in Ringsheim. We offer you a 58 sqm large, modern Non smoking apartment with large terrace (for sole use), separate entrance and free parking space on your doorstep. The apartment has two bedrooms (double bed (1,80x2,00), two single beds, beds), a bathroom with tub (hand-bath towels incl.) A living-dining room with sofa bed, LCD TV, free Wi-Fi, and a separate Kitchen with equipment. Our house is a few meters away from hiking Wheel Walking trails in a quiet residential area. A small petting zoo and a forest playground can be reached quickly. In the village you will find bakery / food, butchers, pizza delivery service, wineries, distilleries and restaurants. Food markets, shops and stores are just 3 km away. Swimming pools and lakes in the area offer fun and relaxation. Ringheim is through its excellent transport links ideal starting point for excursions. Eg Europa Park Rust 4 km, nature reserve Taubergießen, Kenzingen adventure climbing forest, museums, waterfalls, Steinwasen Park, Laguna Badeland, monkey forest, Freiburg, Baden Baden, Basel, Colmar, Strasbourg, Alsace and much more are waiting for you. Special offers: per 7 nights you will receive a discount of 75 € .The children's discount of 2 € per night will be automatically included in the booking. Children from 0-1 are free. The price includes a 4% accommodation tax. Wir waren sehr zufrieden, tolle Wohnung. Saubere und liebevoll eingerichtete Wohnung. Alles da was man braucht. Es hat uns hier sehr gut gefallen und kommen gerne nochmal wieder. Super Lage, sehr ruhig und nicht weit vom Europa-Park. Tolle Wohnung in einer ruhigen Wohngegend, sehr nette Vermieter. Kommen gerne wieder. Super eingerichtete Wohnung in toller Lage mit Parkplatz und sympathischer Vermieter. Wohnungsübergabe war absolut unkompliziert. Haben uns sehr wohl gefühlt. Kommen bestimmt wieder.